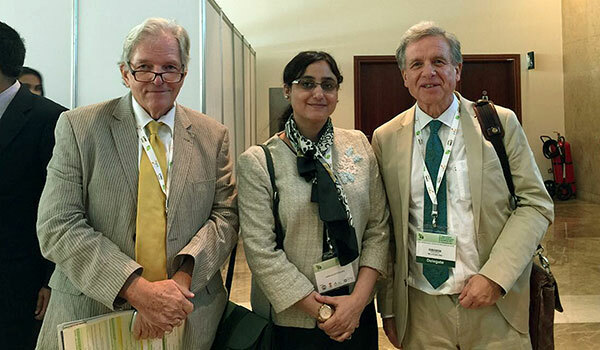 Lothar Pirc met with Dr. Raju and next-generation members of his Vaidya family, and with an Arabic Prince planning to set up an Ayurvedic Clinic in his country. 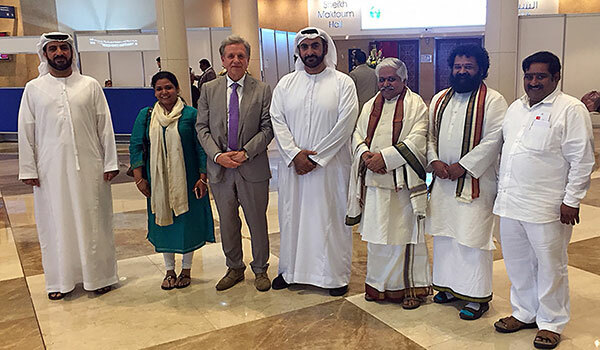 The Indian AYUSH Ministry invited me to come to Dubai for the First International AYUSH Conference and Exhibition, 9–11 November 2017. We are planning to work together to document the great curative successes we are seeing in treating chronic diseases in Bad Ems. So we had an extensive exchange about that with the Indian government representatives attending the Conference; our discussions have been very successful. 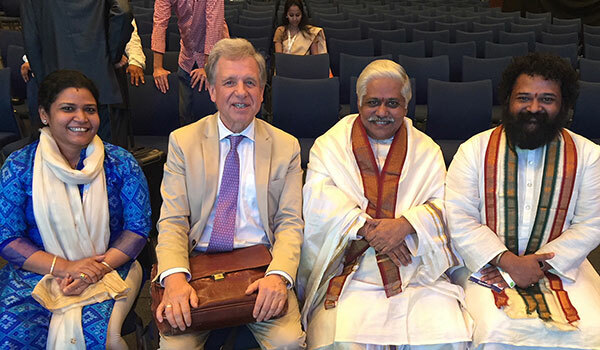 Time and again, our guests ask me if there isn’t something I could do to make German legislation recognize Ayurveda as a reimbursable treatment. To realize this goal, health insurance companies require scientific studies conducted in Germany. 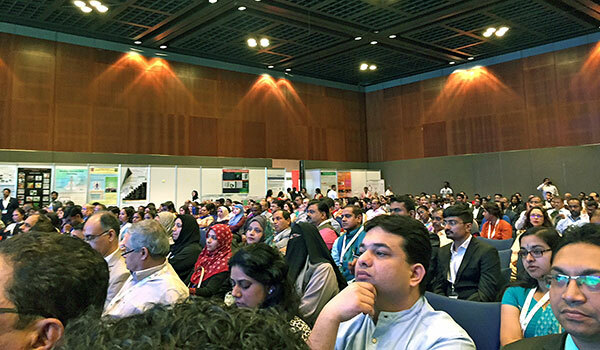 Therefore, I have now travelled to Dubai to find a joint solution with the Indian Ministry for AYUSH. One of the keynote speakers was Dr. J.R. Raju, from the famous Raju family which has upheld the art of pulse diagnosis over many generations. Dr. J.R. Raju has taught tens of thousands in this art worldwide, including our own Medical Director, Karin Pirc, M.D., Ph.D. and Dr. Nazanin Norouzifar. Addressing the audience, I thanked Dr. Raju for his speech and his work, and spoke about how our Health Centre benefits greatly from his expertise and teachings: We have been able to help so many patients because diseases can be detected in the earliest stages with the help of pulse diagnosis. Then, when I wanted to leave the hall, immediately some twenty conference attendees came to me – they all requested my business card or brochures about our Health Centre in Bad Ems! Also, an Arabic prince approached me and told me that he intends to set up an Ayurveda clinic in his country. Naturally, I’ll be happy to support him in this endeavor. From Dubai, I continued my journey to India, to make new contacts there as well.